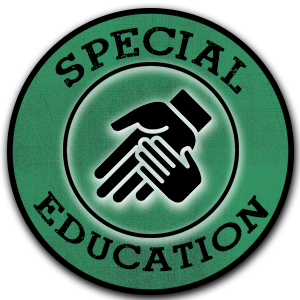 Upon request, the Rosendale-Brandon School District is required to evaluate a child for eligibility for special education services. A request for evaluation is known as a referral. When the district receives a referral, the district will appoint an Individualized Education Program (IEP) team to determine if the child has a disability, and if the child needs special education services. The district locates, identifies, and evaluates all children with disabilities who are enrolled by their parents in private (including religious) schools, elementary schools and secondary schools located in the school district. A physician, nurse, psychologist, social worker, or administrator of a social agency who reasonably believes a child brought to him or her for services is a child with a disability has a legal duty to refer the child, including a homeless child, to the school district in which the child resides. Before referring the child, the person making the referral must inform the child’s parent that the referral will be made. Referrals must be in writing and include the reason why the person believes the child is a child with a disability. A referral may be made by contacting , Jessica Sinor-Vanne, Director of Special Education, Rosendale-Brandon School District, at 920-872-5320, or by writing her at Rosendale Intermediate, 200 S. Main Street, Rosendale, WI 54974. Or email jsinorvanne@cesa6.org. Rosendale-Brandon School District is required to locate, identify, and evaluate all children, with disabilities, including children with disabilities attending private schools in the school district, and homeless children. The process of locating, identifying, and evaluating children with disabilities is known as child find. Each February the Rosendale-Brandon School District conducts a developmental preschool screening to meet the requirements of the child find activity. This notice informs parents of the records the school district will develop and maintain as part of its child find activities. This notice also informs parents of their rights regarding any records developed. • “Progress records” include grades, courses the child has taken, the child’s attendance record, immunization records, required lead screening records, and records of school extra-curricular activities. Progress records must be maintained for at least five years after the child ceases to be enrolled. • “”Behavioral records” include such records as psychological tests, personality evaluations, records of conversations, written statements relating specifically to the pupil’s behavior, tests relating specifically to achievement or measurement of ability, physical health records other than immunization and lead screening records, law enforcement officers’ records, and other pupil records that are not “progress records.” Law enforcement officers’ records are maintained separately from other pupil records. Behavioral records may be maintained for no longer than one year after the child graduates or otherwise ceases to be enrolled, unless the parent specifies in writing that the records may be maintained for a longer period of time. The school district informs parents when pupil records are no longer needed to provide special education. At the request of the child’s parents, the school district destroys the information that is no longer needed. • “Directory data” includes the student’s name, address, telephone listing, date and place of birth, major field of study, participation in officially recognized activities and sports, weight and height of members of athletic teams, dates of attendance, photographs, degrees and awards received, and the name of the school most recently previously attended by the student. • “Pupil physical health records” include basic health information about a pupil, including the pupil’s immunization records, an emergency medical card, a log of first aid and medicine administered to the pupil, an athletic permit card, a record concerning the pupil’s ability to participate in an education program, any required lead screening records, the results of any routine screening test, such as for hearing, vision or scoliosis, and any follow-up to the test, and any other basic health information, as determined by the state superintendent. Any pupil record relating to a pupil’s physical health that is not a pupil physical health record is treated as a patient health care record under sections 146.81 to 146.84, Wisconsin Statutes. Any pupil record concerning HIV testing is treated as provided under section 252.15, Wisconsin Statutes. • The right to inspect and review the student’s education records within 45 days of receipt of the request. Parents or eligible students should submit to the principal a written request that identifies the records(s) they wish to inspect. The principal will make arrangements for access and notify the parent or eligible student of the time and place where the records may be inspected. The school district will comply with the request without unnecessary delay and before any meeting about an individualized education program, or any due process hearing, and in no case more than 45 days after the request has been made. If any record includes information on more than one child, the parents of those children have the right to inspect and review only the information about their child or to be informed of that specific information. Upon request, the school district will give a parent or eligible student a copy of the progress records and a copy of the behavioral records. Upon request, the school district will give the parent or eligible student a list of the types and locations of education records collected, maintained, or used by the district for special education. The school district will respond to reasonable requests for explanations and interpretations of the records. A representative of the parent may inspect and review the records. • The right to request the amendment of the student’s education records that the parent or eligible student believes is inaccurate or misleading. Parents or eligible students may ask Rosendale-Brandon School District to amend a record that they believe is inaccurate or misleading. They should write the school principal, clearly identify the part of the record they want changed, and specify why it is inaccurate or misleading. If the district decides not to amend the record, the district will notify the parent or eligible student of the decision and the right to a hearing regarding the request for amendment. Additional information regarding the hearing procedures will be provided to the parent or eligible student when notified of the right to a hearing. • The right to consent to disclosures of personally identifiable information in the student’s education records, except to the extent that federal and state law authorize disclosure without consent. The exceptions are stated in 34 CFR 99.31, Family Educational Rights and Privacy Act regulations; Sec. 9528, PL107-110, No Child Left Behind Act of 2001; and section 118.125(2)(a) to (m) and sub. (2m), Wisconsin Statutes. One exception that permits disclosure without consent is disclosures to school officials with legitimate educational interests. A school official is a person employed by the district as an administrator, supervisor, instructor, or support staff member (including health or medical staff and law enforcement unit personnel); a person serving on the school board; a person or company with whom the district has contracted to perform a special task (such as an attorney, auditor, medical consultant, or therapist); or a parent or student serving on an official committee, such as a disciplinary or grievance committee, or assisting another school official in performing his or her tasks. A school official has a legitimate educational interest if the official needs to review an education record in order to fulfill his or her professional responsibility. Upon request, the district discloses education records without consent to officials of another school district in which a student seeks or intends to enroll. Also the district discloses “directory data” without consent, unless the parent notifies the district that it may not be released without prior parental consent. • The right to file a complaint with the U. S. Department of Education concerning alleged failures by the District to comply with the requirements of FERPA. The name and address of the Office that administers FERPA is: Family Policy Compliance Office, U.S. Department of Education, 400 Maryland Avenue, S.W., Washington, DC 20202-4605.